Well chosen polyurethane trims can have an incredible effect on the look and character of your home for a very small cost. Our trims brilliantly define the character of any room and serve only to enhance the overall beauty of your entire home. To address the needs of the growing number of customers who are looking to enhance a Great Room or add grander to any room without mess of plaster. 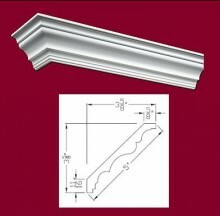 At Elite Trimworks, we recognize that there are certain restrictions when it comes to installing Crown Mouldings in a Condo. There are issues with concrete walls (which restricts the use of nails or pins), available lengths, transport of lengths in elevators, finding room for cutting, noise restrictions and many other installation issues that may come up depending on the unit. With that in mind we now offer a full line Crown Molding installation for Condos using our new line of Polyurethane trim which has a few advantages over wood and MDF for condo installations. Due to space requirements and the mess associated with plaster mouldings, we ruled out that option years ago. MDF or Wood moulding installation in a condo requires additional cost due to the added labor and time involved with bracing the trim to the concrete walls which often includes glued-in-place blocking. Polyurethane mouldings can be glued directly to the walls, which reduces cost. 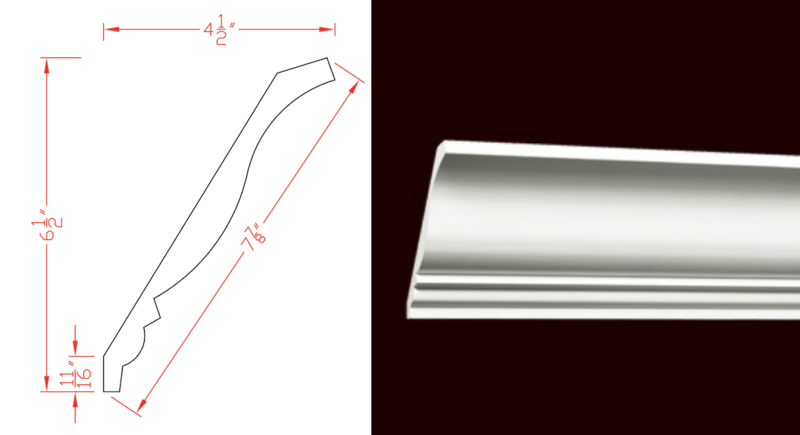 Elite offers 5" crown moldings as a stock item for standard 8 foot high ceilings however the polyurethane mouldings are available up to 14" width for taller ceilings and larger rooms. 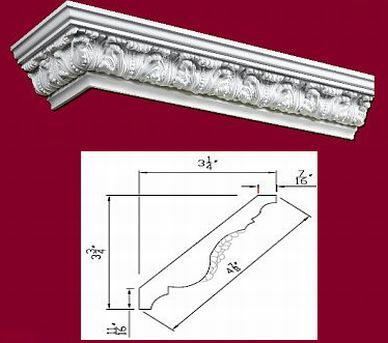 Our trims come in longer 12 foot lengths compared to the 8 foot lengths offered by Big Box stores, this means that you will have less seams in your rooms and therefore less chance of the seams splitting and causing unsightly cracks. The flexibility of Polyurethane, allows longer lengths to be transported in standard elevators, this is not the case with MDF or wood which must be cut down in order to be brought up to your unit and then reassembled. Elite Trimworks polyurethane cornice trims are pre primed with a lacquer-based primer, which provides a clearly superior paint surface to products primed with water-based primer. The result is a smooth finish that requires little paint and almost no sanding to finish. 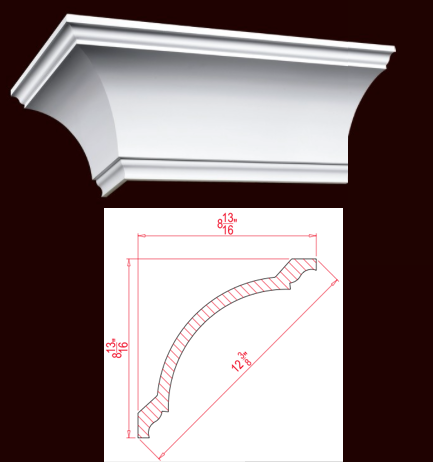 5" Polyurethane Rope Cornice 8 ft.